Last night I stumbled upon two journals that have some years on them, you can tell right. I reclined on the sofa and decided to scroll through them. As I turned the pages, stopping briefly to read what was written on a few of them, the familiarity within those pages hit me like a ton of bricks. Page after page, I read my aspirations and dreams that somehow never made it any further. 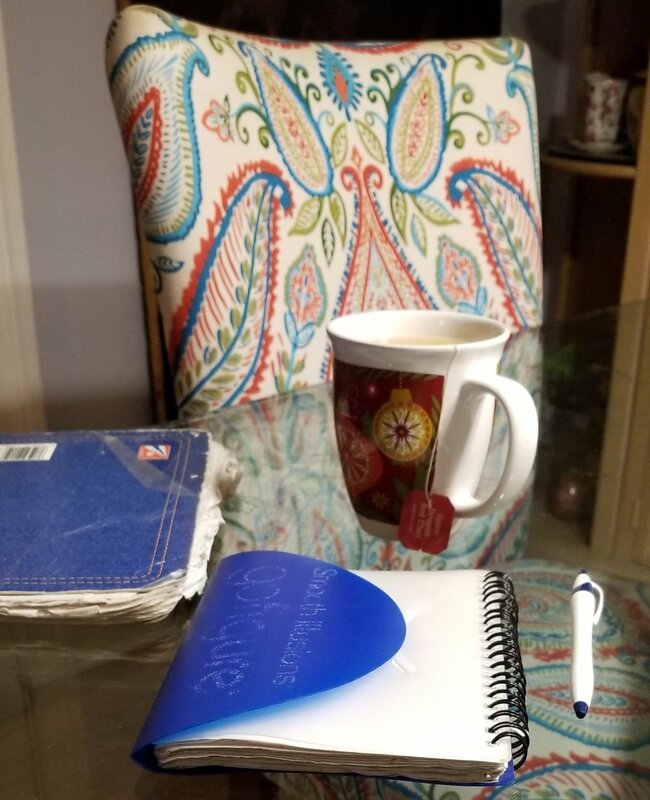 As I got more immersed in these journals, I saw the same pattern, wonderful ideas stemming from my soul that were struggling to survive and some that had lived and died on those pages, never having the opportunity to authentically immerse. Oh my!!! Did I really kill some of my dreams? We are told that we must write down that which we want to materialize, I did! Then what happened? If we only write our goals down but do not take the initiative to take the necessary actions to bring them to fruition, I have to tell you, they will become crippled or die just like mine. So I thought about what as a woman made me not feel bold enough to accomplish some of these dreams. Why didn't I take action? I thought about other women in my family and why they too didn't take action. I thought about women that I knew from varying backgrounds that were smart but they too did not take action. If we took the time to have these goals and dreams, why weren't we inspired to take action. What holds us back from showing up, from the realization that what we came to give is meant to help others? Who gave us the rights to this degree of selfishness? Oops, we did that!!!! Try as we may, we cannot blame the men in our lives for this one. As far back as we can think, when societal laws gave women very little nor no rights at all, we still managed to be trailblazers. Yet today in the face of technologyical advances, we have been primed by a society that have taught us to be judgmental of everyone and everything, even ourselves, to the point that we shrink. Everybody has a talent, every one of us have something of substance to share with the world. Yet we hide wondering how we will be judged if we show up and I have to tell you, I see it so often among women. We practice scorn, jealousy, hatred, disdain and lack of understanding so much that we have lost supporting and caring about each other. So in this multi-faceted world we criticize each other harshly! We reduce ourselves to judging one another about everything. This has become our norm, so much so that we sometimes believe that people are or will judge us negatively when nothing is farther from the truth. We develop fears and anxiety from what we think or believe about how others see us. We take refuge in our heads with constant arguments going on between our two ears and develop subconscious placque (blockages) that prevent us from taking the actions necessary to get our dreams to materialize. We lose confidence in ourselves and in trusting each other. Our heart centers eventually become hardened and closed. We become unforgiving and cold. We immerse ourselves in low vibratory TV programs where women are depicted arguing and fighting and saying the worst to each other. That's TV, they get paid but we should not want negativity in our lives. We want to love and support one another so that we can in turn breathe wholeness and creativity back into the folds of humanity. It's time for us to heal!! Heal from our pain, heal from our anxieties, heal from disappointments and sadness, from not feeling good enough and unsupported especially with each other. God in divine wisdom blessed us as powerful creators. Women bring life into this world, we take care of our families. When women are well, our children are well, our men are well and our communities are well. Thank Divine Spirit that there is an answer to all this! Even in the midst of chaos we can experience awakenings about ourselves and each other. We can rediscover our true nature where love, peace and joy resides. Whether I am right or not, savvy or quirky, who cares? At this point not me. I have decided to live on purpose and if that means that I will be wantonly judged, then let the judging begin. I am all in, but not to wallow in self pity or worry, I am all in to helping my sisters on this earth!!! We each can make a conscious decision to fully showing up for ourselves and each other. Sunday Evenings with Jean on Jubilant Spirit Life Coaching beginning on Sunday, April 21st at 4 PM. Stay tuned for updates via my facebook page Jubilant Spirit. If you have not done so, please like my page to follow. Let's start the conversation! Let us learn from each other and take action to heal our world one person at a time! It begins with me, it begins with you!! Do you always ask to learn about something when you need to? Do you shy away from asking because you feel diminished in some type of way? Well I got a little slip of paper in a fortune cookie that made me think. Even though I never eat the cookie, I always love reading what is inside. So here is what this one said, "He who is afraid of asking is ashamed of learning." Learning what, the truth??? This cookie has some taste to it! There are so many types of situations that come up for us that require us to ask for clarification, for help or just information to move us to our next step. I plugged this into every scenario, I could think of. Guess what? It applies to just about all of them, okay maybe at varying degrees, but this little bit of wisdom still applies. Many times when we are stuck due to fear, worry, sadness, shame, etc., we are so caught up in those negative e-motions that we fear how others will judge us or how the truth will affect us. So instead we stay in our own heads and listen to more of the negative chatter going on in that space between our two ears. Relationships have been torn apart, friendships have ended, jobs have been lost, trust has been thrown out the door, laughter and love have diminished because of misunderstandings. There are so many things that we can learn from simply having an open mind and just asking. We can even learn things about ourselves that we never knew or was apprehensive to learn. We can learn about each other, about situations and truths that we once may have perceived wrongfully. We can learn about how we truly feel about the other and we can learn that we are all more alike than we are different. So next time, you are unsure about something, just ask. You may be surprised just how much you may learn. Asking opens up a sea of learning. I am getting myself prepped to ask a few questions because darn it, I need clarification on how best to do a technique. I know I am not dumb but I need to know. Not asking means I set myself back and I am not about to do that. There are things I need to learn and I am okay with that, so since there is no shame to my game, you best believe I will be asking.